Geraint has played his R&B/jump style piano and Creole-flavored accordian with some of the great names in pop­ular music, both live and as a session player for more than 30 years. Despite a career that would make even the most road-weary rock veterans blush, Geraint is not content to rest on his laurels. 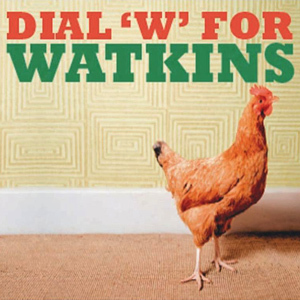 Dial W for Watkins captures his finest solo recordings and plenty of collaborations with his mates, including Lowe on bass and harmony vocals. His ability to make the simplest musical statement into a sublime moment of enter­tainment still manages to baffle even his closest friends. In addition to session work in the eighties, Geraint played accordian and keyboards with the somewhat infamous pub band, The Balham Alligators. The band was together 15 years and released 5 albums and also helped to keep the music of Louisiana alive in London's pubs. Geraint has been a big part of Nick Lowe's solo work, contributing his soulful piano and organ to his trilo­gy of The Impossible Bird, Dig My Mood and The Convincer. He's also been a part of Bill Wyman's Rhythm Kings and Morrison's studio and live band. Dial W for Watkins was produced by the same team of Neil Brockbank and Bobby Irwin.